Barfleur is one of the most beautiful villages in France that inspired the painter Paul Signac. Barfleur kept beautiful old granite houses, typical of the Cotentin. You can stroll along the harbour to the lighthouse of Gatteville, one of the highest in France. At the seaside you can find a sandy beach. The picturesque Normandy countryside overlooks the sea. 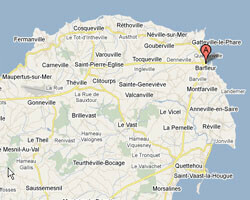 In Barfleur enjoy a seaview holiday rental. 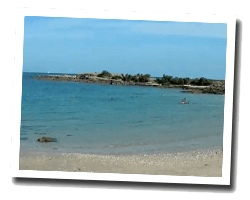 On the quay of Barfleur, scored one of the most beautiful villages in France, this house divided into 2 holiday therefore has a great view of the harbor and the sea. The ground floor opens onto the dock. Price from 290 € to 415 €.